The resulting programme was All My Loving, an uncompromising exploration of pop and rock music which jump-cut between footage of the Vietnam war, musicians in conversation and in sweaty close-up on stage, and various, frequently caricature-like representatives of the music business. The documentary was accompanied by a diverse soundtrack of classical and contemporary music and a portentous narration by Patrick Allen. Palmer completed the film in March 1968, but such was the unfavourable reaction it received internally at the BBC that it wasn’t screened until November of that year – and even then, it was scheduled after the Epilogue, by which time transmissions for the evening had usually come to an end. 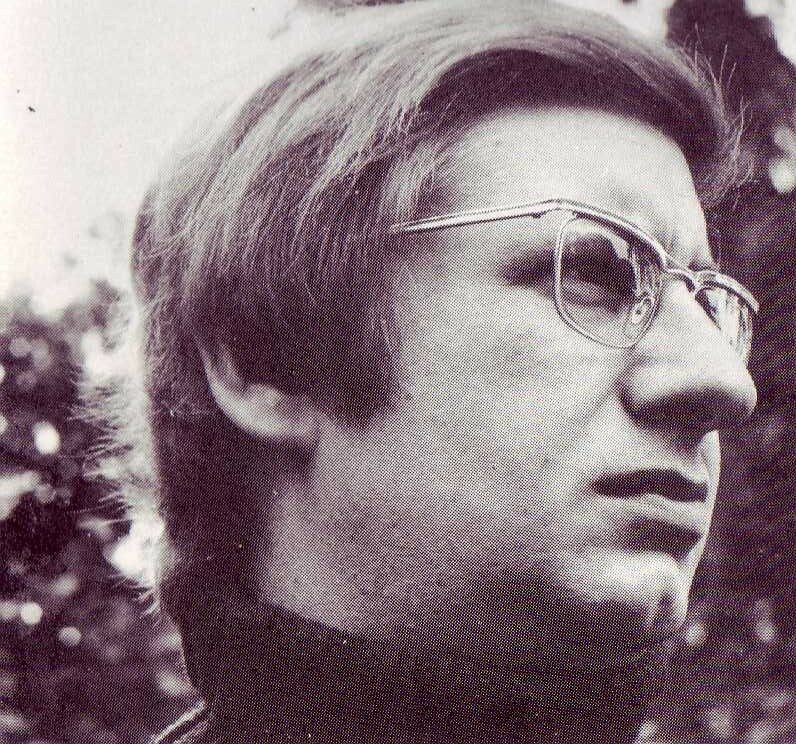 The author pictured on the dust-jacket of Born Under a Bad Sign. 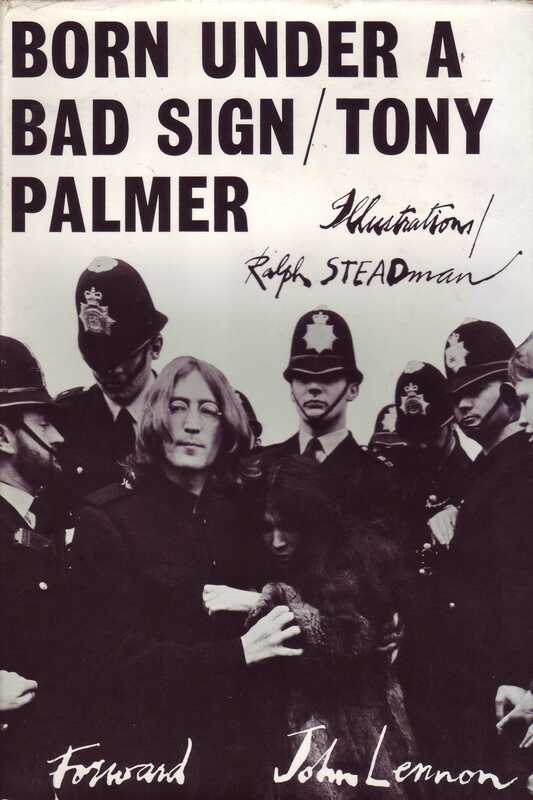 After making a similarly unsettling but brilliant film about Peter Sellers, Palmer published Born Under a Bad Sign, which took some of the themes of All My Loving and expounded upon them. For its source material, the book draws on many of the interviews Palmer had undertaken for the earlier film, and artists including Pete Townshend, Donovan, Manfred Mann and Eric Burdon are quoted at length. In writing the book, Palmer makes what he calls a “modest plea for an open-minded listen to pop music”. His argument can be summarised as follows: in spite of the fact that a lot of pop is awful; in spite of the fact that the musicians themselves often aren’t the best advocates for their work; in spite of the fact that the people in charge of mass communications in Britain have ears of cloth and don’t let you see or hear the really good stuff; in spite of all these things, pop has a tremendous amount to offer, and it’s the possibilities that the best of it reveals that give it significance and demand your understanding. If Palmer’s plea is modest, his tone is combative and single-minded. He finds much to admire in the work of The Beatles, Pink Floyd, Cream, Bob Dylan, Jimi Hendrix and Paul Simon, but is withering in his assessment of Janis Joplin (“she wrecks almost every song she performs with a kind of mindless determination to be meaningful”), Julie Driscoll (“drooling, tuneless vibrato”), Tom Jones (who takes every song “by the scruff of the neck, rattling it about and eventually choking it to death”) and Tiny Tim (“tuneless [clearly the biggest crime for Palmer], witless, mindless and pointless”). Superficially at least, his technique is reminiscent of the critic F R Leavis’s methods in identifying what he called the Great Tradition in English Literature: tease out the brilliance of certain artists whom you have decided are part of the canon and explore their work at length, and dismiss the rest with short shrift. 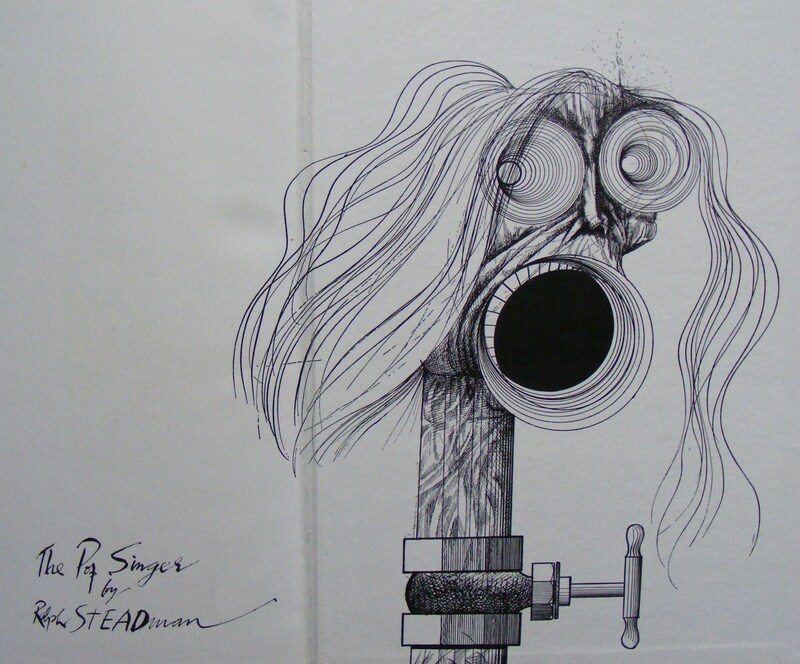 Ralph Steadman’s accompanying illustrations, though not all entirely successful, brutally re-enforce the author’s belligerence. 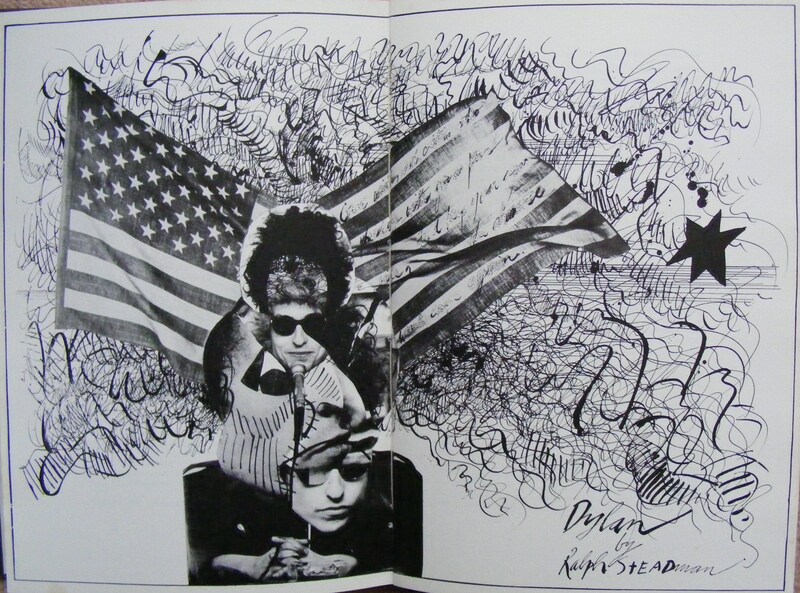 (From the book) Bob Dylan: Well in. (From the book) Tiny Tim: Far out. Such is the super-abundance of ‘pop criticism’ that our actual understanding of the music, like that of art or of politics, is now indistinguishable from the language in which we are accustomed to express that understanding, and from the media in which that language is formulated. [. . .] To capture our responses to pop music or symphony concerts, we rely on an endless stream of pathetic little catch-phrases as if these were the only way to reassure ourselves that all is well in the world of Art. What’s more, we pretend that knowledge is no more than the reconciliation of any new data with this already debased language. . .
I’ve quoted Palmer at length here because, heaven knows, as Shelf-Stacker-in-Chief at the Pop Music Library, it’s given me pause for thought. I may even have gulped a little when I read the term “pathetic little catch-phrases”. But he’s right. If a super-abundance of pop journalism was a problem at the turn of the 1960s, then surely we’re at crisis point now. 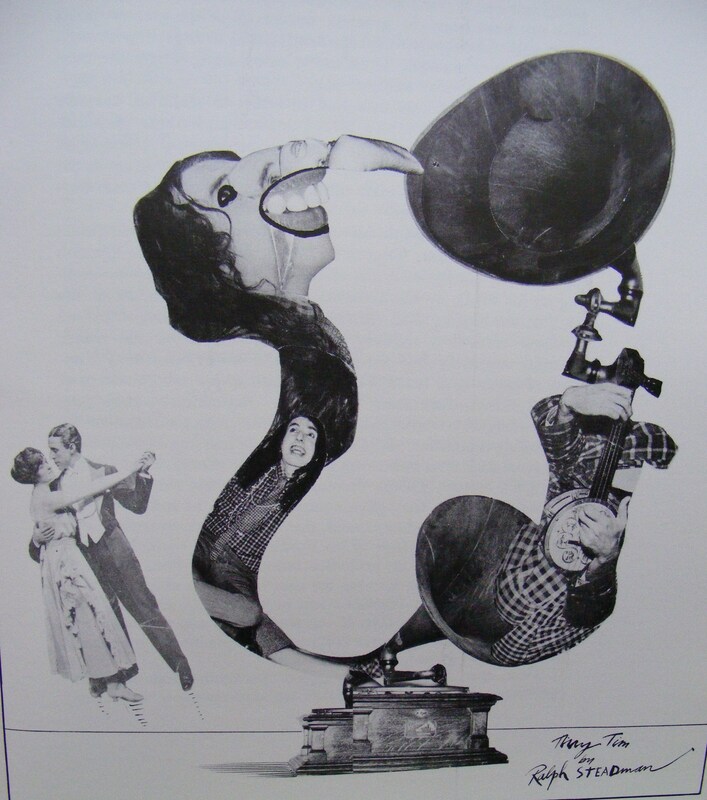 The solution as Palmer sees it is to be open to the sheer power of the music (“the best pop music is primarily concerned with energy, frenzy, pity, power”, he states), to formulate your own opinions and to express them in terms other than the stale, manufactured quotes of the critics. (From the book) The Pop Singer. But why does he look like Lord Longford? Born Under a Bad Sign is a frustrating and deeply paradoxical book. The author is so determined for us to be tolerant in our listening habits that he hectors us, and when he reveals his own preferences he reveals a distinctly intolerant response to, for example, many female singers. In terms of the critical atmosphere of today, Palmer can be seen as astute in having identified a significant number of the key performers from the birth of rock, but ironically, given that it is these artists who appear endlessly on the cover of Mojo magazine – a publication which focuses on rock’s own ‘Great Tradition’ – also rather conservative in his tastes. This is presumably the opposite of what he might have envisaged, writing as he did when the newness of the music still had the power to shock. Consequently, I think it’s appropriate to offer a qualified recommendation for Born Under a Bad Sign, somewhat along the lines of Palmer’s own caveats about the music he describes therein. In spite of the author’s unbending convictions about certain performers and a tendency to bully us into his way of thinking, the book remains a spirited and stimulating engagement with pop music at the end of the 1960s. Just don’t be surprised if, as you read it, you find yourself rolling up your sleeves and spoiling for a fight.